This month, Dunkin’ Donuts is excited to celebrate the fifth anniversary of the launch of our DDSMART® menu. 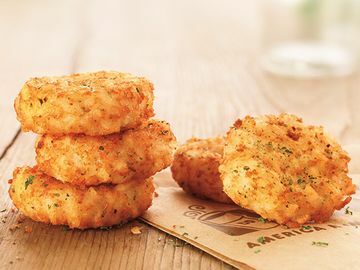 Created to offer better-for-you menu items for our customers, the DDSMART® menu has expanded over the past five years to provide more choices for our guests with product offerings that have fewer than 400 calories. The wide range of options featured on the DDSMART® menu includes a variety of beverages, flatbreads, wraps and sandwiches. 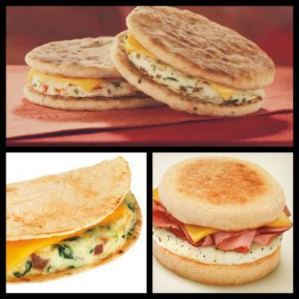 Dunkin’ Donuts offers four different types of Wake-Up Wraps® with 170 calories or less – Egg and Cheese, Egg White Turkey Sausage, Egg White Veggie and Ham, Egg and Cheese. Dunkin’ Donuts’ Veggie Egg White Flatbread sandwich with diced green and red peppers, shredded potatoes, diced green onions and roasted mushrooms served on a multigrain flatbread is filled with goodness for under 300 calories. The DDSMART® menu also includes great beverage options such as Vanilla Latte Lite and Unsweetened Freshly Brewed Iced Tea. Since the launch of our DDSMART® menu five years ago, we have continued to develop new better-for-you products that are big on taste and hearty to keep our fans running. 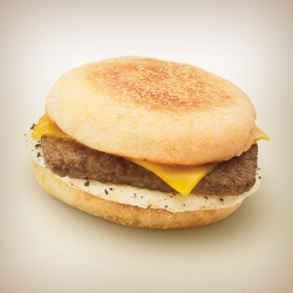 The most recent addition to our DDSMART® menu is the 390 calorie Turkey Sausage Breakfast Sandwich. The delicious sandwich is packed with flavor and features turkey sausage, a fried egg, and a slice of reduced fat cheddar cheese served on an oven toasted English Muffin. 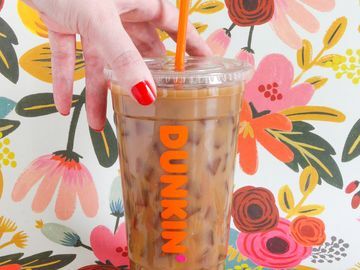 To celebrate the 5 year anniversary of DDSMART®, Dunkin’ Donuts is launching the DDSMART® Fifth Anniversary Sweepstakes, in which our fans have the chance to win $500 in Dunkin’ Donuts cards. Our Twitter followers are invited to look back on a great five years, and also ahead to a great five years to come. 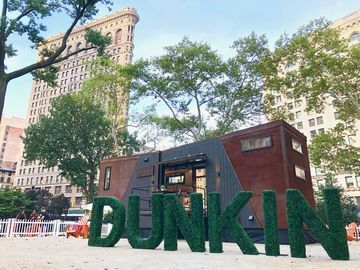 On Tuesday, August 20 from 9AM to 12:59PM followers of @DunkinDonuts on Twitter are invited to share the best thing that has happened to them in the past five years using the special hashtag #DDSMART5. Then, from 1PM to 5:55PM on August 20 followers can use the special hashtag and share one smart change they are hoping to make in the next five years. At the end of the day, five lucky winners will be selected at random to receive $500 in DD cards. For additional terms and conditions related to Dunkin’ Donuts’ DDSMART® Fifth Anniversary Sweepstakes, please visit here. Check out our DDSMART® Pinterest board here!